Clay and Debby are back in time to wish you well as the world is about to end...again. This one almost flew under their radar. How are you supposed to prepare for the end of the world...again? 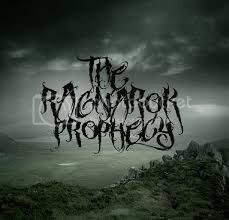 This time they take a look at the Ragnorok prophesy. They can thank Darren Marlar for the heads up on this one. To get more goodness from friend of the show Darren Marlar, visit his website at http://www.marlarhouse.com/wordpress/ .